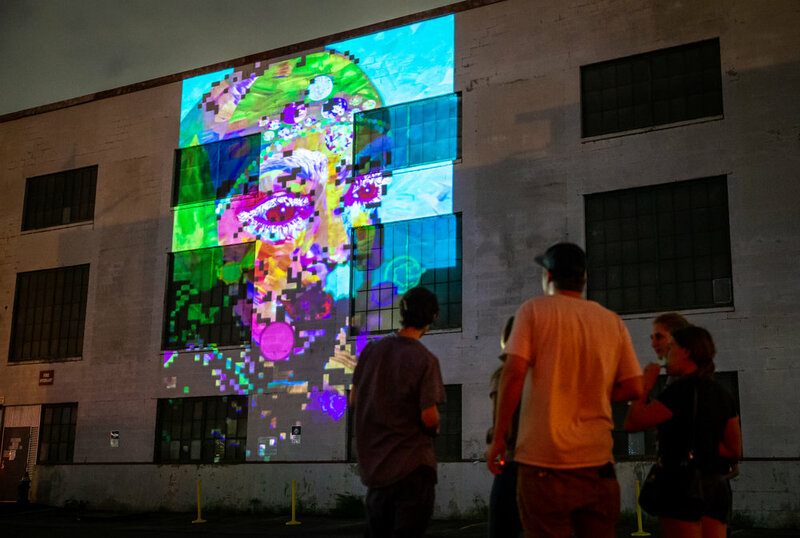 HD·BPM is an interactive, creative-engagement public artwork. 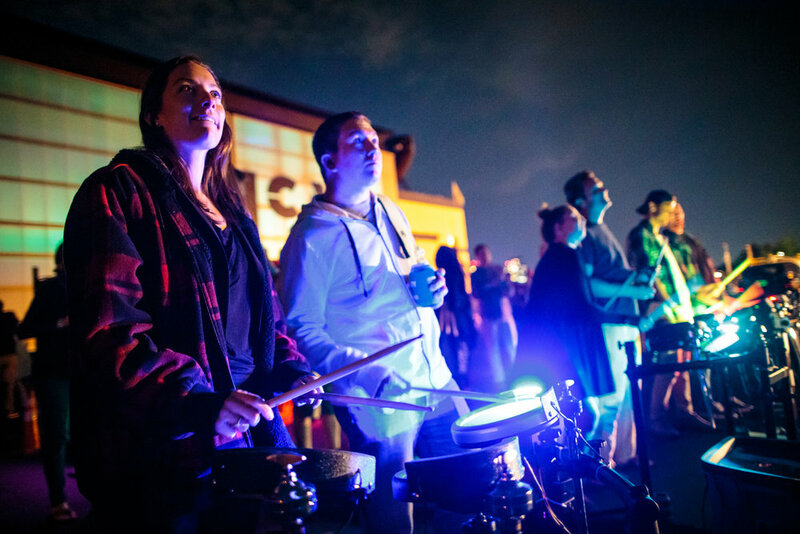 In an accessible manner, participants walk up and play drum pads, playing along to original, danceable beats. The project strives to remove the common barriers of music-making and put musical creativity in the hands of everyone. 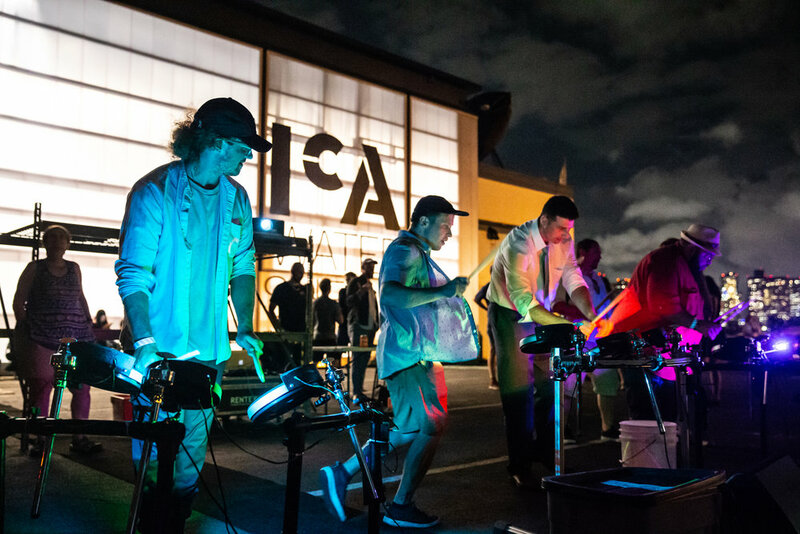 As participants play the 3 sets of 3 electronic drum pads, the pads illuminate. 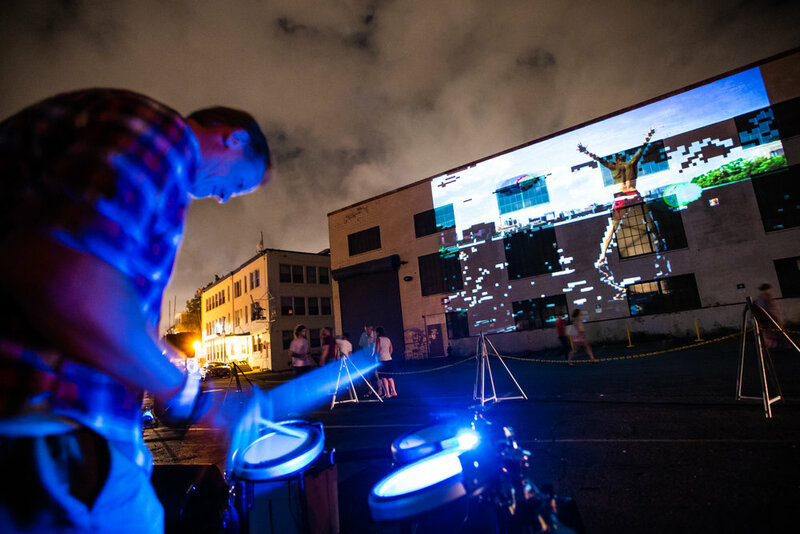 Each stroke of the drum and coordinated colored light corresponds to a projected image, which is displayed adjacent to the music-making area. 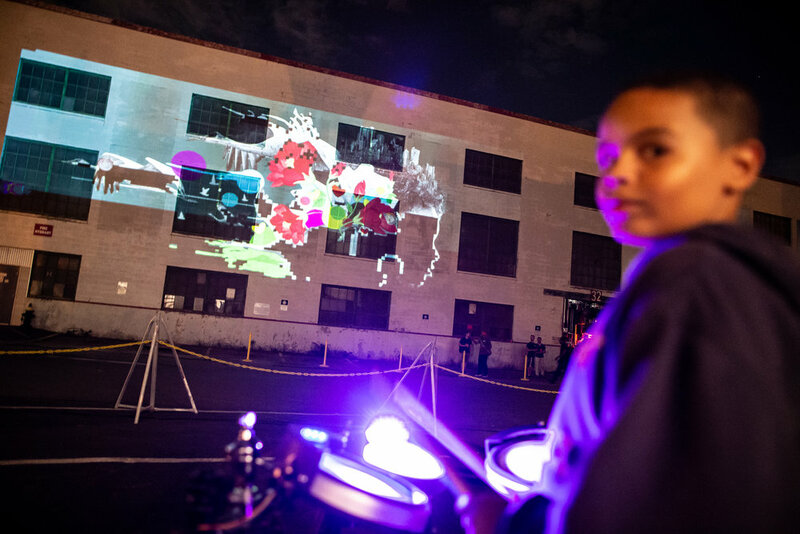 As the music continues, each drum stroke exposes a tile in the projected artwork, revealing - tile by tile - artworks by local visual artists. 2018 debut featured artists include Cedric Douglas, Ekua Holmes, Jordan Piantedosi, Cyrille Conan, The Safarani Sisters, Silvia Lopez Chavez, and Aram Boghosian.